Motorcyclists are much more likely to suffer serious and fatal injuries in auto accidents than typical motorists are. Lack of protection from crash forces heightens the risk for traumatic injuries to the head, brain, spinal cord, and internal organs. If a reckless or careless driver should have prevented your recent motorcycle accident in Bellevue, you could have a case against that person. If you need help filing your Bellevue motorcycle accident claim, contact the lawyers at Colburn Law. We’re available 24/7 to answer your questions about personal injury laws, filing deadlines, and the value of your case. We’re here to answer all the questions you may have about the claims process. Our Bellevue personal injury lawyers want your family to obtain justice and full recovery. After a harmful motorcycle accident crash in Bellevue, contact us to see how we can help. Who or What Causes Bellevue Motorcycle Accidents? Making a left turn without watching for oncoming motorcycles, misjudging the speed or distance of the motorcycle, or texting and driving are all common acts of driver negligence that could cost a motorcyclist his or her life. The moment you suspect someone else caused your crash out of neglect to fulfill accepted standards of care, discuss your options with an attorney. You could be eligible for compensation. Washington is a fault-based state. Call the insurance company of the at-fault driver to file a claim. Many insurance companies have prejudices against motorcyclists that could interfere with your ability to recover damages. If you feel an insurance company is wrongfully denying your claim, contact a lawyer. In the meantime, don’t admit fault during conversations with the insurance company. Wait until you speak to a lawyer to continue communications with insurance claim adjusters. If you lost a loved one in a Bellevue car accident, you could be eligible for additional wrongful death damages. These may include mental anguish, funeral/burial costs, and loss of consortium. At Colburn Law, our lawyers have secured outstanding results for past clients in Washington. We know how to fight for full compensation during insurance settlement negotiations and/or a personal injury trial. We’ll create a legal strategy that’s ideal for you. Colburn Law represents clients on a contingency-fee basis. This means you won’t have to pay attorney’s fees unless we win a settlement or judgment on your behalf. Initial consultations with our attorneys are free and no-obligation. We genuinely want to help motorcyclists of Bellevue review and protect their rights after serious car accidents. Let us review your case at no cost today. 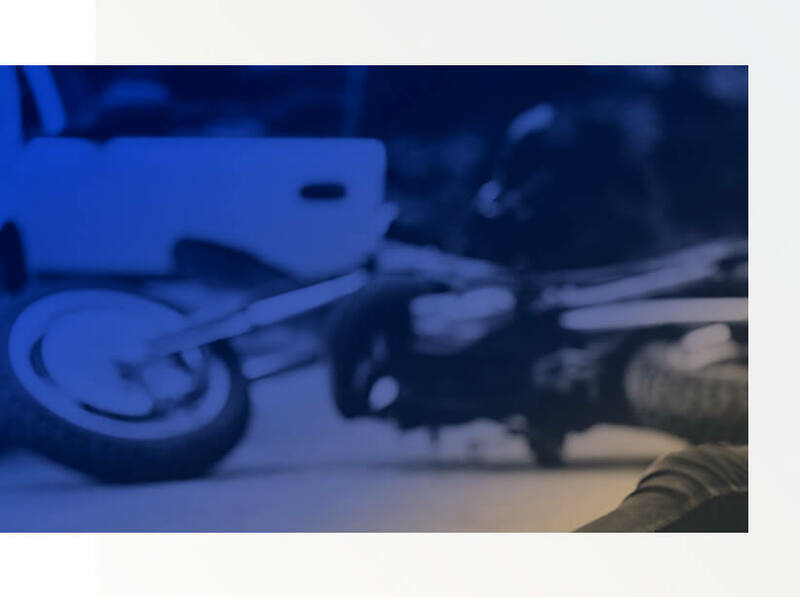 Contact us online or call (206) 880-7628 to discuss your motorcycle collision today.